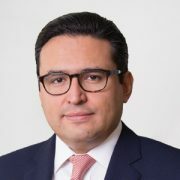 A draft for Mexico’s Fintech Law’s secondary regulation will be ready in July, says Bernardo González Rosas, president at Banking and Trading National Committee (CNBV), in an interview with national news outlet El Economista. The executive guarantees that the act will be ready to go live by September, and that currently, organisations such as the Treasury Department, Banco de Mexico (Banxico) and other related institutions were working on drafts to be shared among them. Since the passing of the act last March, these institutions were given a six-month timeframe to produce secondary regulation. This regulation will only be implemented in the following 12 months, during which time fintech firms will have to receive authorisation to conduct business. This secondary regulation will cover the following topics: inter-institutional committee, technological risk and business continuity plans, cash limits, auto-correction plans, sandbox sign ups, payment claimant behaviour, accountancy criteria, financial states, investment limits, and investment applications. In parallel, González Rosas says the CNBV is designing a platform called SupTech for firms to look up information within the sector. Lastly, banks must incorporate customer biometric data in all onboarded customers by August, although CNBV’s president says those banks who join a nationwide platform will be given an extension. Mexico has been leading the way when it comes to fintech south of the US, and that is no mean feat, as many countries in South America, like Chile and Argentina have also seen a big boom in the sector. This very “Fintech Law” is the most coordinated effort to tackle regulating fintech firms. Only passed earlier this year, with nearly two years of debate around it, this law seeks to regulate four main areas: crowdfunding, cryptocurrency, APIs and data sharing, and sandbox ecosystems. Its official name is, translated, “Act to Regulate Financial Technology Institutions”, but its colloquialised version is definitely catchier. Among the issues it currently faces, Banxico and CNBV will dictate which security and privacy standards fintech firms will have to maintain when it comes to electronic payments. Third parties will conduct inspections related to this and blockchain.